Where are you in 2014? 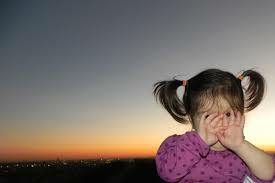 from kimchisweettea.com – peek a boo, where are you? I wanted to acknowledge the new year in some fashion so this got me to thinkin’ (look out!) 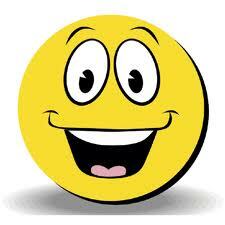 not about were we are going in 2014 but where we are now. You can ask this question collectively or individually, which ever suits your fancy because, in my opinion, the answer is still the same: We/You are exactly where you’re supposed to be, and for that matter, exactly where you should be putting your focus. When you spell it out in this fashion, it seems so logical, it seems to make such sense to stop worrying about something that has already happened or something that has yet to occur – both are things we have no control over whatsoever. Ah…but there is the rub. As logical or as helpful as living in the moment may be, it is something we as humans have the most trouble with. Why is that? Why does this issue take up so much of our time and our energy? I’m not sure, really. I know it has something to do with choice. 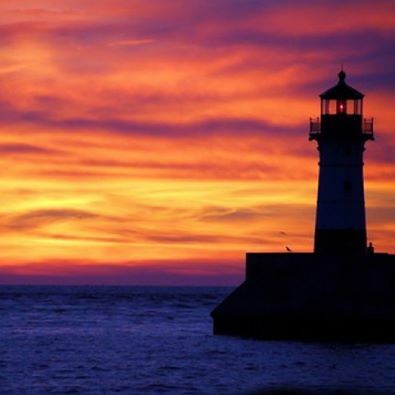 Our creator (the humorist that he/she is) gave us free choice: choice to dwell on past events, choice to think about our future… But the choice that children and plants and animals exhibit most often is living in the here and now. Why is that? I’m not quite sure other than I’ve never met a young child that had to take medication for an ulcer or because their blood pressure was too high. These small beings just might be onto something! I missed it. It was Tarzan’s birthday yesterday. 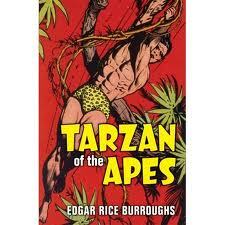 Tarzan was created by Edgar Rice Burroughs in 1912. I think I might have one of those original books. I got it from my father’s book collection when he passed. That type of action adventure story would be just what my dad would have liked. In fact, my dad liked Tarzan so much he had vinyl records (they feel like vinyl plates they are so thick) of Tarzan. They sound great on my crank phonograph. I imagine back in 1912, that was quite the story, and seeing how many times it’s been redone in various forms, I think people today still like a good Tarzan story, too. 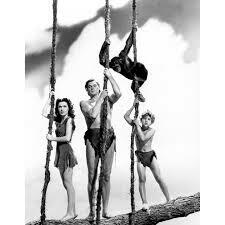 from one of the original Tarzan movies (1941) with Johnny Weissmuller as Tarzan, Maureen O’Sullivan as Jane, and Johnny Sheffield as “boy.” I don’t know the name of the ape. I think a new Tarzan should be coming around again, don’t you think? Maybe I’ll do a knock off it someday. Sounds like a fun project. What do :-) and :-( and 1982 and today have in common? Now I know what my problem is, I haven’t been paying for my reiviews! New York Times posts follow-up story about fake book reviews. I’m not sure why I didn’t think that this was happening, as the blog states: “The stakes are too high, and every system can be gamed if people are smart enough.” I guess the old adage, you can’t believe everything you read, is true.